Since its founding in 1776, Phi Beta Kappa, the nation’s oldest and most prestigious honor society, has celebrated excellence in the liberal arts and sciences and championed freedom of thought. PBK recognizes the best and brightest liberal arts and sciences undergraduates and grants lifelong membership through a highly competitive selection process. The Mu of Texas chapter, PBK’s 284th, was installed on March 4, 2016, at the University of Houston. For more information on The Phi Beta Kappa Society's stipulations for membership, please email pbk@uh.edu or visit the Mu Chapter of Texas' website. Omicron Delta Kappa is the National Leadership Honor Society. Founded in 1914, ODK recognizes exemplary leaders in scholarship, athletics, service, communication, and the arts. Since joining the society in 1960, the University of Houston has inducted nearly 3,000 lifetime members. ODK promotes lifelong education through scholarships and leadership workshops. The ODK membership network is made up of more than 280,000 leaders, including United States presidents, world and business leaders, and athletic greats. 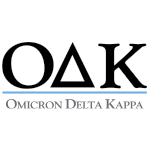 For more information on Omicron Delta Kappa, please visit the website. Established in 1897, Phi Kappa Phi is the oldest honor society to recognize excellence across the academic disciplines. Invited members graduate in the top ten percent of their class. When translated from Greek, PKP’s motto is “Let the love of learning rule humanity.” This is demonstrated by the society's mission to engage its community of scholars in service to others. The University of Houston chapter was installed in 1949 and inducts, on average, 150 students annually. 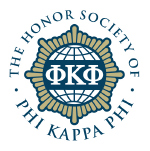 For more information on The Honor Society of Phi Kappa Phi at the University of Houston, please email pkp@uh.edu or visit the Chapter 54 website. To request information on the National Honor Societies housed within the Honors College, please submit this form.